After a day of tasting and traipsing through the popular Loudoun County wine trail, one of my favorite “go to” spots to visit before heading back home, is Tuscarora Mill Restaurant. Tuskie’s, as the locals call it, is located in the heart of historic downtown Leesburg amongst a variety of charming boutiques, cafes, and shops. Ever since my first trip to Tuskie’s in 2006 and falling in love with the zucchini fries and sweet curry mustard dipping sauce appetizer, followed by a delicious shrimp and country truffled grits dish, I have enjoyed many satisfying return visits. 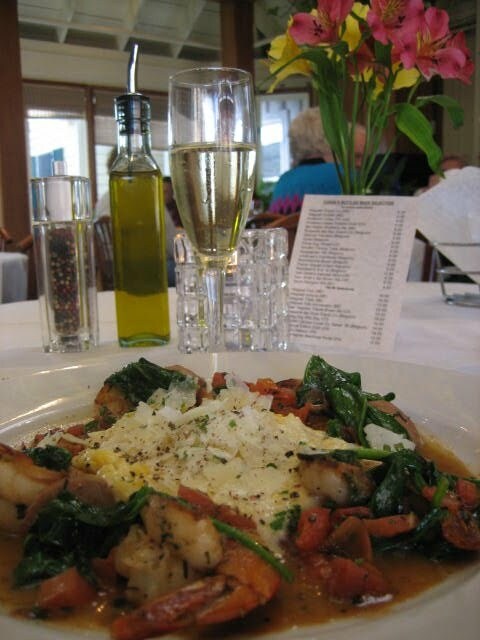 The Shrimp & Grits is one of many delicious items on the menu. Tuskie’s specializes in seasonal American cuisine and is housed in an attractively restored historic grain mill. The bar area and café, my favorite spot to dine, is rustic with all-around great character, maintaining some of the inner workings of the mill such as overhead pulleys, belts, etc. The main dining area is elegant and stylish with bright skylights, very nice décor, and a relaxed atmosphere. Tuskie’s is a farm-to-table restaurant, offering a seasonal menu that highlights many local food items grown and raised within 100 miles of the restaurant. Tuskie’s is also a big supporter of the local wine industry with an extensive wine list that features a large number of Virginia labels served by the glass or bottle. During a wine dinner I attended at Tuskie’s a few weeks ago, Chris Pearmund, owner of Pearmund Cellars, and, as one attendee joked, “A half dozen other Virginia wineries”, cited that years ago when no other restaurant carried local wine, Tuskie’s was one of the first to carry Virginia wine by the glass or bottle. Tuscarora Mill Restaurant makes this week’s “By the Glass” feature because you can get locally sourced seasonal dishes and enjoy Virginia wine by the glass or bottle. Their focus on high quality food, friendly service, and an inviting ambience makes Tuskie’s a local favorite and a destination restaurant for people like me who live outside of Loudoun County. If you haven’t visited Tuskie’s yet, a memorable dining experience awaits you! Have a question about this post, friends? 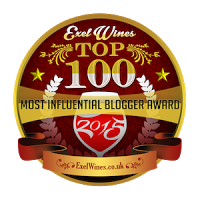 Feel free to leave a comment or send me an e-mail at myvinespot@yahoo.com, and as always, Happy Sipping! Stay tuned friends ...More to come!